Wine is a mixture of humour and light. Nils Liedholm (b. Valdemarsvik, October 8th, 1922 – d. Cuccaro Montferrat, November 5th, 2007) was one of the greatest Swedish football players. Nicknamed “Il Barone”, he began his prominent football career on the Swedish team IK Sleipner to eventually change over to IFK Norrkoping with their headquarters in the city of Norrkoping. During his football career he scored 139 goals. In 1942 Il Barone began a period of great splendour marked by the arrival of the Hungarian technical trainer, Lajos Czeiler. During this period the team won 5 National titles in 6 seasons, plus 2 Swedish Cups, thanks also to the Nordahl brothers (Gunner and Knut). In those years Gunnar Nordahl won the top scorer with 27 goals in 1944-45, 25 goals in 1945-46 and 18 goals in 1947-48. These successes, joined with a Swedish Gold at the 1948 Olympics, did not pass unobserved by the eyes of foreign executives. In 1949 Milan hired Czeizler, a trainer which brought with him players like Gunner Nordahl and the midfielder Nils Liedholm that went to form the glorious GRE-NO-LI; from which the white wine produced by the winery became named. 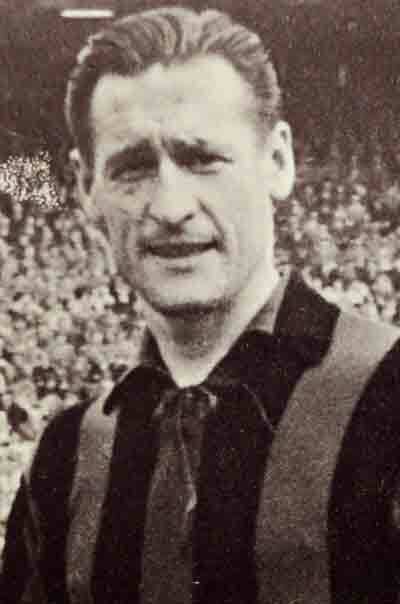 He remained with Milan, where he stayed until the end of his agonistic career in 1961 after having won 4 championships. Liedholm was the 5th oldest player representing Milan to have ever played an official game in the history of the club; it is due to the fact that he began his career with them on May 21st, 1961 in occasion of the Milan versus Lecco game at 38 years, 7 months and 13 days old. While wearing Milan’s jersey he totalled 394 appearances and 89 goals; he is still today the second foreign footballer with the most appearances in the history of the Red and Blacks team, preceded only by the Dutch player Clarence Seedorf. In 1961, after having finished playing at the age of 39, Il Barone started a brilliant career as trainer. The teams he coached were Milan, Verona (helping them obtain a promotion to Serie A), Monza, Varese, with other promotions in Serie A, Fiorentina and Roma. During his career as a trainer, he was one of the first in Italy to systematically adopt the arrangement of a defensive zone which was based on models used by the Dutch and Brazilian national teams. His last season as trainer was in 1996 – 1997 when he replaced the sacked Roma trainer, Carlos Bianchi, whilst achieving a thousand appearances in Serie A. Afterwards, he dedicated himself to journalism as a Sport Commentator.